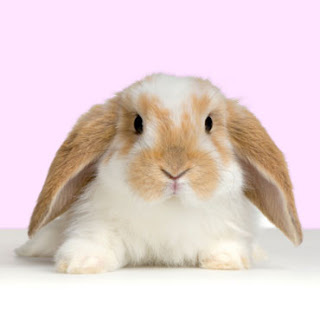 The European Rabbit was first discovered by the Phoenicians, back in 1000 BC. At the time, it was an unremarkable and rather localised animal, confined to the scrubland of Spain and surrounding areas of the western Mediterranean. Since then, it has conquered half the globe. There are tens of millions of rabbits throughout Europe, as well as in parts of North Africa, Australia, New Zealand, and South America. To pet owners, they are adorable fluffy creatures with delightful ears and a wide repertoire of endearing habits. To farmers, they are a menace, whose insatiable appetite costs world agriculture hundreds of millions of pounds every year. Wherever it goes, the rabbit is a loveable disaster. And it is a very, very successful one. 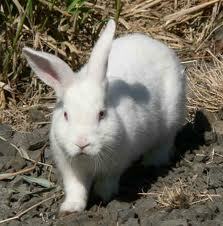 The rabbit's world travels began with the Romans, who took it back to Italy with them as a source of food. Rabbit meat is tasty and high in protein, and in ancient times rabbit foetuses and newborn young were a particular delicacy. The Romans never brought their rabbits to Britain; that was left to the Normans, who regarded rabbit meat as a great luxury and set up warrens on many of their estates. The Normans took great care of these warrens, fencing them in (or even establishing them on offshore islands) to deter predators and poachers, laying down pipes to encourage their livestock to burrow and breed, and building raised mounds to ensure good drainage. These practises persisted until the end of eighteenth century, when the need for commercial farmland and the exodus of rural workers to the cities caused most of the warrens to be abandoned or destroyed. Many of their occupants escaped. A new era of intensive agriculture had replaced Britain's damp medieval forest with ideal farmland habitat, and gamekeeping had all but exterminated many of the island's native predators. Not surprisingly, the rabbits in the wild multiplied rapidly. By 1950, there were a hundred million of them, and the damage they did was costing the country £50 million a year. This invasion of Britain was bad enough, but on the isolated landmass of Australia - where the rabbit has few natural enemies - the destruction was far worse. In 1859, a landowner named Thomas Austin imported twenty-four British rabbits to his Australian estate so that they could be hunted for sport. What occurred next was a horrific demonstration of what can happen when living things are allowed to reproduce virtually unchecked. 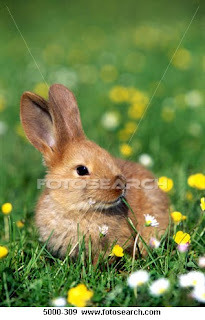 Within just thirty years, the offspring of these twenty-four bunnies had overrun half the continent. With a damaging foreign pest outcompeting Australia's unique native marsupials, and ruining the country's agriculture, the Australian government became increasingly desperate for a solution to the rabbit problem. Eventually it found one - myxomatosis. This virus occurs naturally among South American cottontail rabbits, in which it is fairly benign. 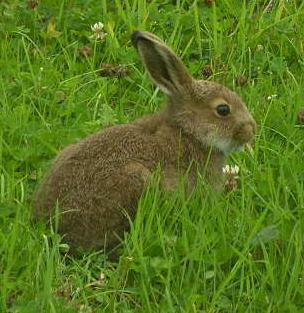 In the European Rabbit, however, myxomatosis causes painful swellings around the face, then blindness, and ultimately death. In 1950, after many years of extensive research and debate, the disease was released in Australia. Over the next few years, carried by insects, it spread across the country, and devastated rabbit populations wherever it went. Myxomatosis was brought to Europe deliberately, by a French landowner, in 1952. The following summer, the disease crossed the English Channel. 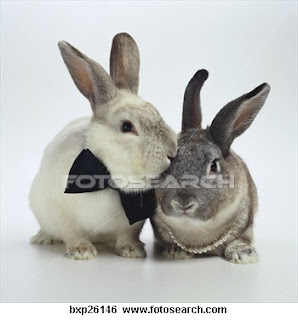 Within two years, ninety-nine percent of Britain's bunnies were dead. The country's stoat and buzzard populations, which had subsisted almost entirely on rabbits, were predictably devastated. As if in tribute, rare orchids began to flower in previously overgrazed meadows. Shrubs sprang up in place of close-cropped grass, and amongst these, voles and hares began to flourish, liberated from the stress of a hundred million greedy competitors. Today, of course, the rabbit is back, despite the continuing scourge of myxomatosis (to which wild rabbits are now somewhat resistant), and other recent afflictions such as Viral Haemorrhagic Disease. The rabbits of Europe and Australia have yet to return to their 1950 levels, and possibly never will, but they are nonetheless extremely numerous. If you could heap Britain's wild mammals onto a pair of gigantic weighing scales, with rabbits alone on one side and every other species (including massive ones such as deer) on the other, the scales would almost balance. Whether we love them, loathe them, exploit them, or eat them, rabbits are here to stay.